Mizuno Wave Shadow 2 are neutral performance running shoes. There are so few changes in Mizuno Wave Shadow 2 that is quite difficult to distinguish it from original edition, so it is hard to justify current update and also typical retail price rise. It plays the role of the classical performance running shoe (8 mm drop), ideal for tempo workouts and racing mid/long road distances. 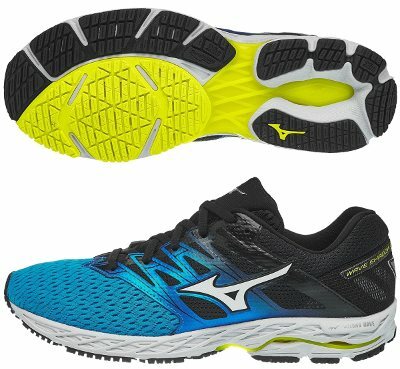 It is located between more cushioned Wave Rider 22 and racing flat Wave Sonic so the Wave Shadow 2 is exactly what Mizuno loyal runners would expect from it. Minor but interesting changes in upper is all what differs from its predecessor Wave Shadow. Basically mesh has been upgraded to Jacquard to improve breathability and overlays over midfoot have been redesigned for a more secure and snug fit. Internal comfort has been enhanced as well with better integrated Dynamotion Fit™ strips wrapping the foot and gusseted tongue provides not only glove-like feel but also prevents from annoying folds. Rest of Wave Shadow 2 remains the same which is supposed to be good news because everyone (both Mizuno and runners) is happy with performance. U4ic™ foam is used as baselayer while midsole features CloudWave™ plate to provide smooth but quick transition with great stability although without proper pronation support like in its counterpart Wave Catalyst. Outsole reminds classical Mizuno configuration with decoupled areas and more robust rubber (X10) in more exposed areas to increase durability. SmoothRide™ technology includes Zig-Zag instead of typical crossed flex grooves in forefoot for responsive toe-off.